I should have posted these shots a long time ago, considering that I took them on Christmas day 2010 and would have had plenty of time to post them, but never did, for one reason or another! But, reading this blog post on La Tartine Gourmande reminded me that I had them stuffed away in a folder somewhere. The east coast of Ireland is beautiful in it’s own right, not that I spend much time over there these days (and when I’m over, it’s to visit the Irish side of the family and photography usually has to take a back seat because we’re mad busy visiting people. Which is very, very nice, I always have kids hanging out of me, great craíc altogether! But, on our not-quite-volontary Christmas visit in Dublin, we took some time out on Christmas Day (which, for me, IS Christmas. The 25th is just the day after Christmas in Germany, but there you go…) and headed down to Powerscourt. The entire east coast was covered in snow, about 30 cm of the stuff, which is HUGE for Ireland. People here are NOT used to this at all! 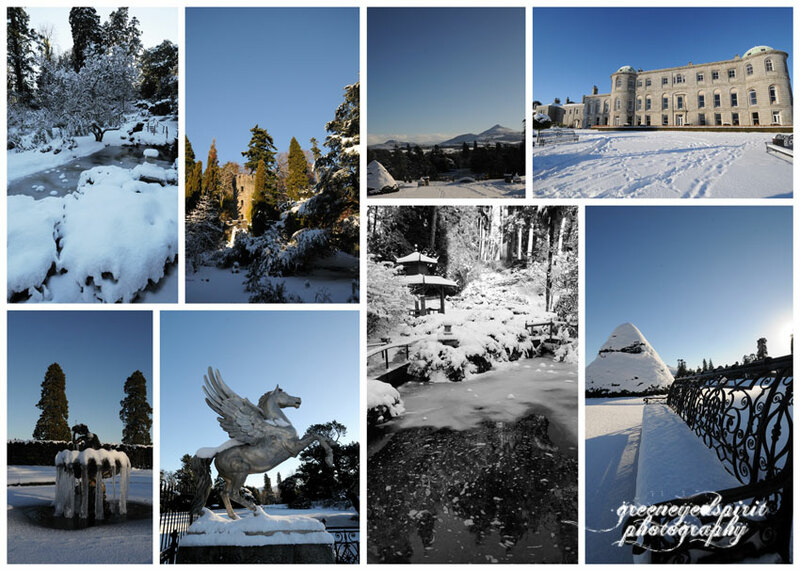 For me, having only been to Powerscourt once, years ago, it was a real treat to see it again, and with SO much snow! Beautiful. A walk in the gardens, followed by some chocolate and pecan tart in the café – heaven. ~ by Simone on February 13, 2011.